Prince Rupert, February 1958. Of course there were times when we really felt isolated from the rest of the world, living on the edge of it! There was a daily newspaper, and a government radio station, and one theater for entertainment. 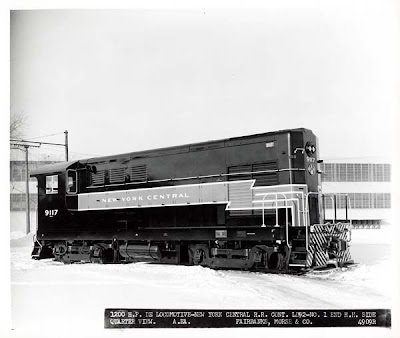 I had subscriptions to Trains and Railroad magazines, and began to learn about power packs other than General Motors Diesels. 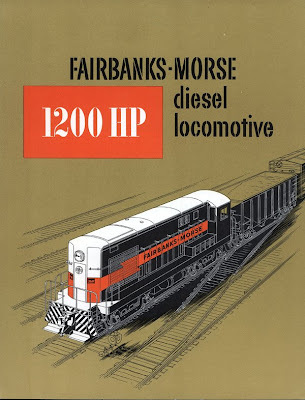 Cabs, Geeps and Road Service 1200’s were the exclusive power on the Prince Rupert Extension. 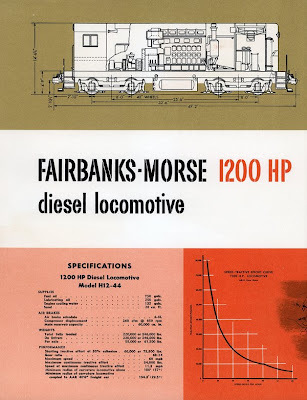 To gather more information on other types of locomotives, I wrote letters to the manufacturers. 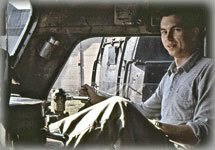 My Dad taught me the lost art of typing a business letter – on our Royal Portable - and how to properly fold it, so that the recipient, without looking at the envelope, could remove the letter from the envelope and open it positioned correctly to read it. Back in those days, many publications had Reader Service Request cards, on which you circled the number of the advertiser you wished information from. That card was sent to a clearing house who in turn got the request to the advertiser. Turnaround time; three to four weeks, maybe. 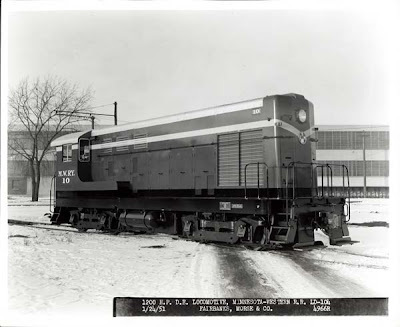 I wrote letters to and received answers from General Motors, Budd, ALCo, Montreal Locomotive Works, English Electric, Fairbanks-Morse, and Baldwin-Lima-Hamilton. 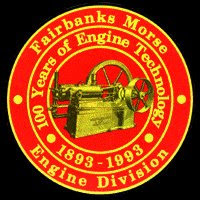 Fairbanks-Morse sent me several items, including this brochure on the model H12-44, and two black and white builders photos! Life before the Internet and video games was richer in so many ways. You had to rely on family, friends and associations for your entertainment. I volunteered time at the Civic Centre as a projectionist, and took several photography classes, which enriched my life for many years to follow! The big question here is, "how on earth did you keep these items in pristine condition for 50 years?" And subsequently, did you ever think 50 years ago that you would still have them?? Those are great archive pieces. Thanks for sharing them with the world! I'm a fair bit younger than you, but when I was growing up, life was not much different than what you had. I spent lots of time with family, and playing outside all around town with friends. Mom had to call out to have me come home, for she did not know where I was, though I was not far. Now, my daughter has the internet, and I am not fond of letting her roam the neighborhood, due to fear of creeps and cougars (!). She likes to watch the trains go by, but does not go exploring around the tracks like I did. The difference though is we now live by a busy main line, and I grew up along a sleepy branch line. She better not play near the tracks! Dan: Yeah, Dan, those were less stressful times. In addition to hanging out at the rail year, my sister and I would make bundles of newspapers and magazines, and take them down to grain ships loading at the elevator. There was no TSA goons at the gangplank, we simply went aboard and wandered around 'till we found someone (who spoke english!) I really loved to head for the engine room! A three story high diesel engine is a wonder to behold! And sometimes we'd drag crew back home for dinner! Mom and Dad would spend hours in the parlor visiting with these chaps - it was like a living National Geographic!